Join the Garden for our monthly Sick Plant Clinic and find out which diseases ail your plants. Entomologists are also available to identify the pests that are living in your plants too! Please cover plants and disease samples in containers or bags before entering the Garden. Come join us for a Cal vs. Oregon State pre-game experience that the whole family will enjoy. 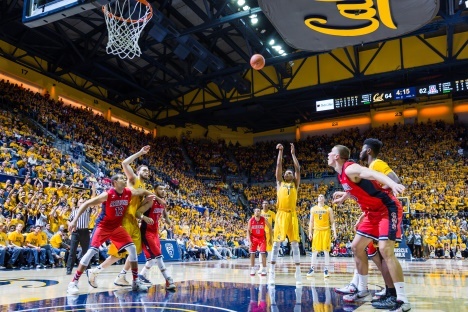 This Hoops Party features exciting programming for future Golden Bears, including an interactive performance by Cal Band and Cal spirit groups, a visit from Oski, a bounce house, Top Dog, and much more! Hoops Party: 2:30  4:30 p.m.
Cal Men's Basketball hosts Oregon State in conference action at Haas Pavilion. 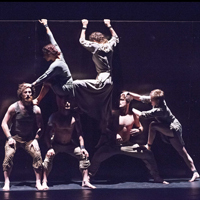 Juxtaposing circus arts with the music of Il ritorno DUlisse in patria, Monteverdis 17th-century opera about Ulysses homecoming, the Australian troupe Circa tells a story of loss and displacement in its latest production, Il Ritorno. Six acrobats join four chamber musicians and two singers in a staging that unites music with movement. Circa performs Il Ritorno Saturday and Sunday, February 3-4, 2018 in Zellerbach Hall. See the homes of the STARS!! Or more precisely, designs for the homes and gardens of film stars, directors, screen writers, and designers curated by head archivist at the Environmental Design Archives, Waverly Lowell. ON VIEW: JAN 29-FEB 9, MON-FRI 10am-5pm. The 2017 Branner &amp; Stump Fellows Exhibition surveys the experiences and findings of recent fellowship recipients after their international travels. Free and open to the public! Way Bay is a sweeping exploration of the creative energies that have emerged from the San Francisco Bay Area over the past two hundred years. 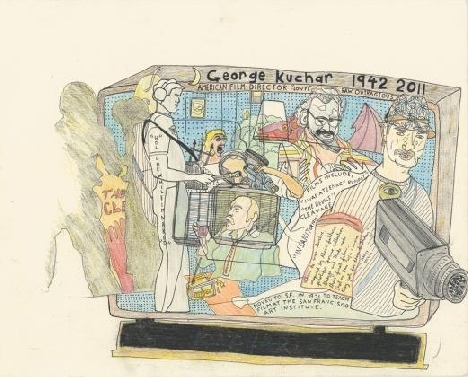 The exhibition features nearly two hundred works of art, film, performance, poetry, and archival materials by Bay Area artists and others whose work engages with the regions geographic, social, and cultural landscape.